First I have to give a shout-out to Skype for giving me two extra tickets. 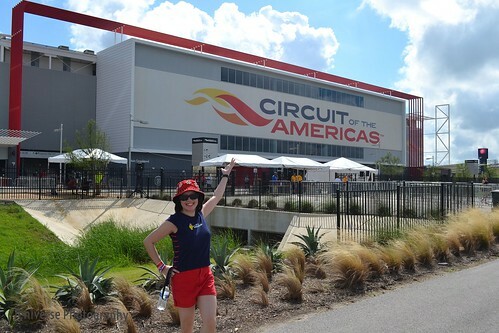 My parents got to enjoy X Games with me and hang out in the Gold Lounge when they needed a break. It was the best deal ever, and it was all because I hopped in the chat. Second, I wound up not going to Thursday’s Step-Up competition because I thought you had to buy tickets. It turned out that tickets were for the reserved area. 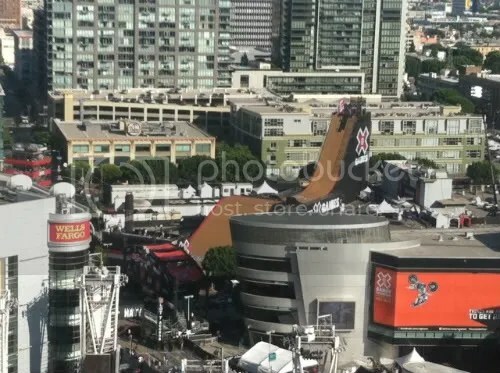 I wish the X Games site had made that clearer, but it was probably better because parking was probably a nightmare. That green parasol you see in the crowd footage was us. It really helped us endure the heat. My dad picked up on what the judges were looking for really quickly: amplitude, flow, style, and difficulty. The only thing he may have missed were the technical tricks that don’t look as big. I was impressed because he called most of top 5. My mom might not have understood what was going on, but she was stoked for DMC because he’s 48 and still going strong. I had no idea that Chad Kagy was injured until later on. He rode really well. 540 flair— I couldn’t even register what had happened because all I could see was spinning. There’s no slow-mo in real life so you have to be quick. Seriously though, Vince Byron killed it. Everything was so solid. Simon Tabron was also on fire that day. He had some of the biggest airs. 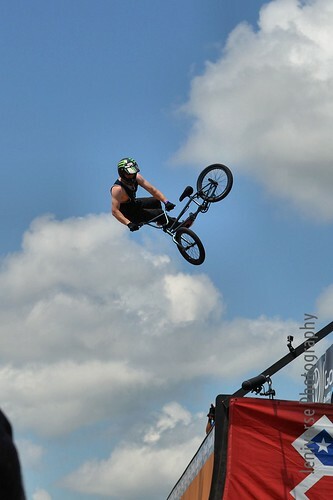 Jamie Bestwick put up a good fight but seemed a bit off in terms of height and rhythm. I loved the back-to-back-to-back flairs though. As he is known for being competitive, it was cool to see him pass the mantle over to Vince via personally handing him the gold.